CAGAYAN DE ORO CITY (Mindanao Examiner / Oct. 26, 2011) - The specter of another long, hot summer without electricity has again risen with the National Grid Corporation of the Philippines (NGCP) intermittent curtailment of power supply in Mindanao even in the middle of the rainy season. Stakeholders in the power industry in Northern Mindanao fear economic losses from a repeat of the 2010 Mindanao Power Crisis in 2012 could cost the island’s economy even more than what it did in the previous episode. Even now with normal water levels for Lake Lanao and the Pulangi River feeding the island’s hydroelectric power plants due to the ongoing episode of La Niña, the NGCP has already issued repeated Yellow and Red Alerts following the reduction of the Mindanao Grid’s ‘contingency reserves’ to zero, reduction in generation due to preventive maintenance on two units of its largest generating plants and imminent overloading of transmission lines. In August alone, the NGCP issued five Yellow and one Red Alerts. “We fear a repeat of this gloomy situation in 2010. The recent declarations of Yellow or Red Alerts by NGCP further confirms that Mindanao Grid has shortage of capacity necessary to provide the required Ancillary Services as specified in the Grid Code. This is not a good sign considering that we have ample rains and we don’t even have El Niño yet,” said Engr. David Tauli, senior vice president for engineering of the Cagayan Electric Power and Light Company (CEPALCO). Department of Energy (DOE) figures show electricity generation in 2010 was reduced by 6.33% (or 430 million kWh, excluding losses and station-use) compared to 2009. This reduction in generation represents the unserved electricity due to power supply shortage in Mindanao in 2010. Estimated economic losses using the ratio of the Gross National Product (GNP) to the total kWh sold or P144 per kWh in 2010 multiplied by the 430 million unserved kWh in 2010 translates to P62 billion of economic losses for Mindanao. Within the franchise area of CEPALCO covering Cagayan de Oro City and the municipalities of Tagoloan, Villanueva and Jasaan, Misamis Oriental, the reported total unserved energy of 15.6 million kWh translates to P2.2 billion of economic losses using the same ratio. NGCP issued a Yellow Alert notice for the Mindanao Grid on Monday, 17 October 2011 due to scheduled preventive maintenance on one unit of STEAG State Power Inc.’s coal-fired power plant in Villanueva, Misamis Oriental. A Yellow Alert is issued by the NGCP when the “Contingency Reserve” is less than the power generated by the largest synchronized generating unit in the grid. As of 11:00 AM on 19 October 2011, NGCP raised the alert level from Yellow to Red Alert due to scheduled maintenance on one of its ancillary service providers, the 2nd unit of Therma Marine Inc.’s 100-megawatt (MW) power barges. According to NGCP, the shutdown of one unit of STEAG’s Power Plant and Unit #2 of TMI’s M2 Power Barge moored in Nasipit, Agusan del Norte reduced the “Contingency Reserve” in the Mindanao Grid to zero. However, STEAG completed works on its unit 35 hours ahead of schedule and back online in the grid by 1PM 24 October 2011. 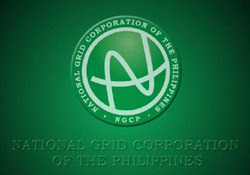 NGCP declared the power situation back to normal by 9AM of 25 October 2011. The Grid Code mandates that a Red Alert be issued by the NGCP as system operator when the Grid “Contingency Reserve” is zero; there is generation deficiency, and there is critical loading or imminent overloading of transmission line or equipment. Grid protocol dictates that a Yellow or Red Alert requires Distribution Utilities (DUs) to limit the power they draw from the grid to a certain “Load to Maintain”. Exceeding the limit specified by NGCP for each DU would mean automatic disconnection from the grid. Thus, DUs with “Load to Maintain” that is less than what they need would have to resort to power curtailment or rotating brownouts in their respective franchise areas, or face a possible disconnection from the grid. However, CEPALCO customers within its franchise area have so far not experienced rotating blackouts like other DUs or rural electric cooperatives despite the Red Alert due to back-up power supplied by its “embedded generators” connected to its distribution grid such as the 18.9 MW diesel-fired power plant of the Mindanao Energy System, Inc. (MINERGY), 7-megawatt Bubunawan mini hydro or 1-megawatt solar power plant in Indahag.